Moving this year? Then be sure to see if some of your moving expenses can qualify in this year’s tax deductions. The American Moving and Storage Association reports that summer is the most common time of the year to change location. For many reasons, the summer months are significantly more popular to pack up and settle down elsewhere. There are even more reasons to stay organized during the entire process and one of them (financial) is that certain expenses may be deductible on your tax return. In order to claim deductions, you have to fill out Form 3903 that will help you determine the exact amount to deduct. But more importantly, you will have to learn whether or not you qualify for deductions in the first place. The move is related to your new employment – you can consider expenses you experience within the first year from the time you began working, or as close as possible to that date. Is line 3 at least 50 miles? If YES, you pass the test. Otherwise you don’t meet the requirements to claim deduction based on moving expenses and there is no need to fill Form 3903. With respect to Time test, if you are an employee, you have to work full time at least 39 weeks during the first 12 months you arrive at the new location. That means the IRS gives you about 3 months to find a new job. Requirements for self-employed are similar, and stand at 39 weeks in the first 12 months and 78 weeks during the first 24 months (full time employment). See the IRS website for exceptions to the time test. What are the expenses that you can deduct? All the necessary and expected cost of moving such as transportation (gas, airfare), lodging, parking and toll fees, cost of packing material, shipment of your possessions, cost of connecting and disconnecting utilities. Meals during the moving process. Purchase price of a new home or any other expenses resulting from buying or selling a house. Security deposits paid or lost. Fees or penalties associated with violating lease agreements. Purchasing a car or driver license fees. If you’re unsure whether or not you qualify for deduction, there is one tool on the IRS’s website that I would consider as a starting point. It is a short questionnaire, taking about 10 minutes to complete that can give you a general idea whether or not you qualify for deductions and what type of deductions. Once you complete the test, you can investigate some specific aspects of your situation in more detail. Below is an outline of the test with the list of questions you can expect. 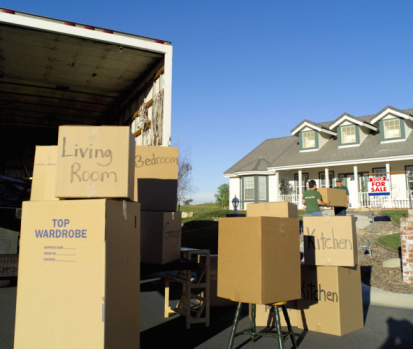 Can I deduct moving expenses? Review the test on the IRS website. Tax year you are asking about. Citizenship status – US citizen (yes/no); resident alien (yes/no). Location – Where did you move? Move related to a military related issue (yes/no) – additional questions about your status with armed forces ensue. Moving expenses incurred within one year from the time you began to work? (yes/no) – you can move and look for a job; not necessary to have a job set up before changing location. Distance to the new job – compare between the distance from your new home to the new job vs. previous home to the new job. Distance test – see distance test above. Work status (employee, self-employed, both). Time test – see time test above. Moving expenses questions – did you pay the following expenses? Moving your things from place other than your previous residence. Lodging expenses (meals not included). Did you make stops for sightseeing? Did your new employer reimburse you for any of those expenses? At this point you receive an answer about deductions. It is a “YES” or “NO” answer and a summary of the expenses that you can and cannot deduct on your federal tax return. The IRS also suggests submitting Form 8822 notifying of address change. This ensures that any correspondence is delivered to your new address. As always, keep the receipts.